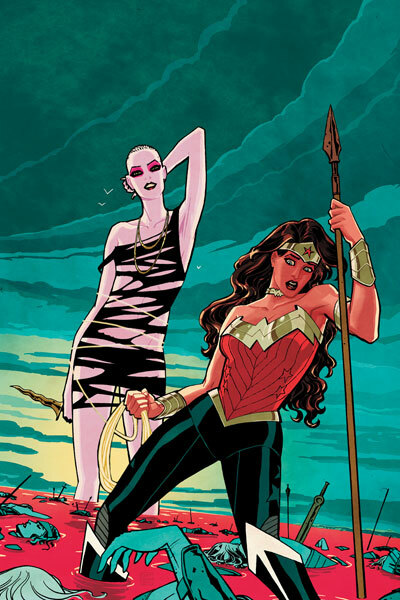 22-SEP-2011 I said I’d never make this version, commonly known as the Jim Lee WONDER WOMAN or WONDER WOMAN 600 or New U WONDER WOMAN unless someone else contributed to the cost because I’m not crazy about certain parts of it. Well I was bored one day and in the end, it only cost me $6 in a zipper and bias tape because everything else you see in the bodice was leftover from other projects. 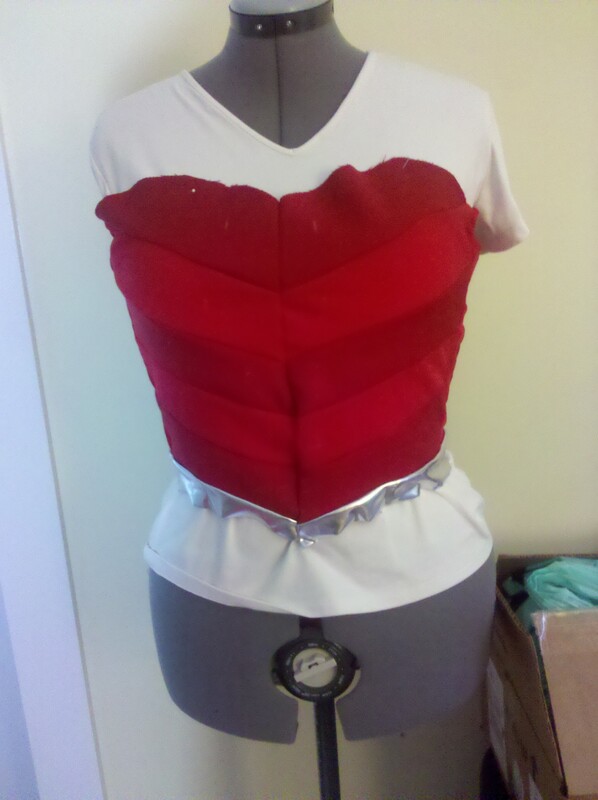 By far getting the boning in place was a disaster worse than other parts. 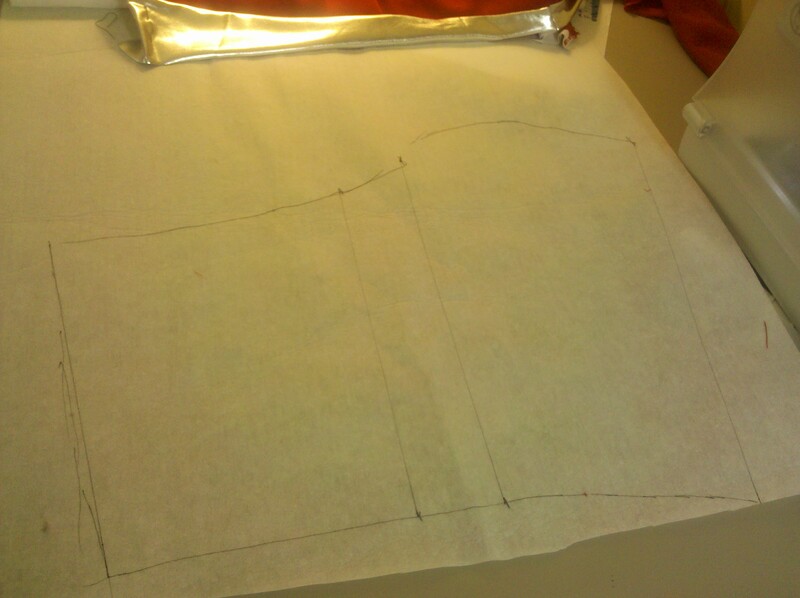 I use bias tape as a “tube” to slide the boning inside; but it wasn’t working easily. 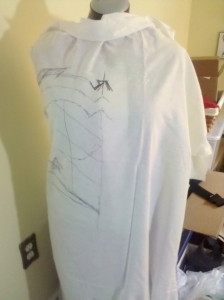 I did most of the boning and got too annoyed and left it for another day. 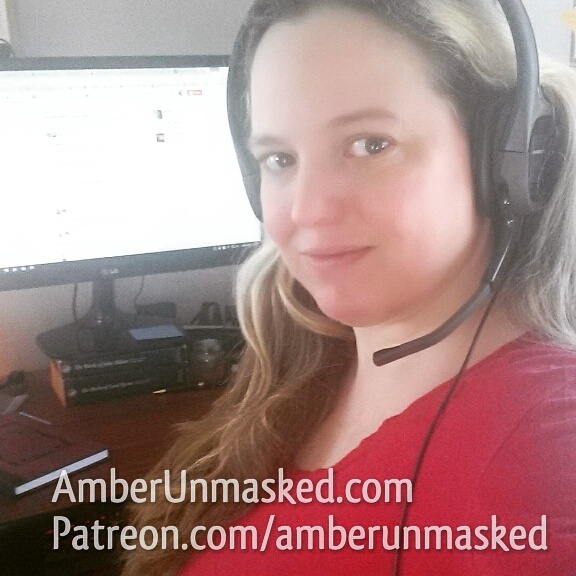 When I came back to the project, it was working easier. 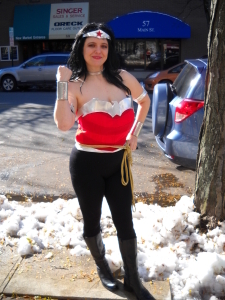 If I bother to make the new tiara, bicep bands and choker, I may actually wear this to NYCC 2011 or “Women of Wonder Day” in NJ. Draped muslin over my dressform and started sketching rough ideas. 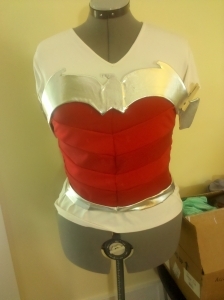 For an interesting look, I decided to alternate crepe fabric with spandex on the main panels. 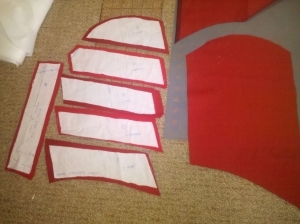 Then cut side panels of spandex and back panels of crepe. The front of the “belt” is metallic silver spandex. 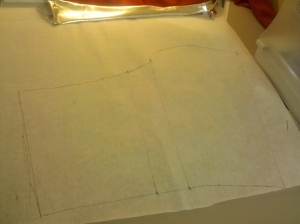 A look at the pattern making for doing the lining or a corset that doesn’t have panel blocking of different fabrics. It took two pieces glued together of craft foam sheets for the chest “armor” which was then covered in metallic spandex. 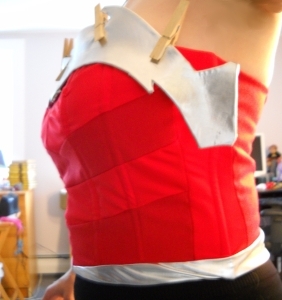 The chest armor will be velcro’d on. 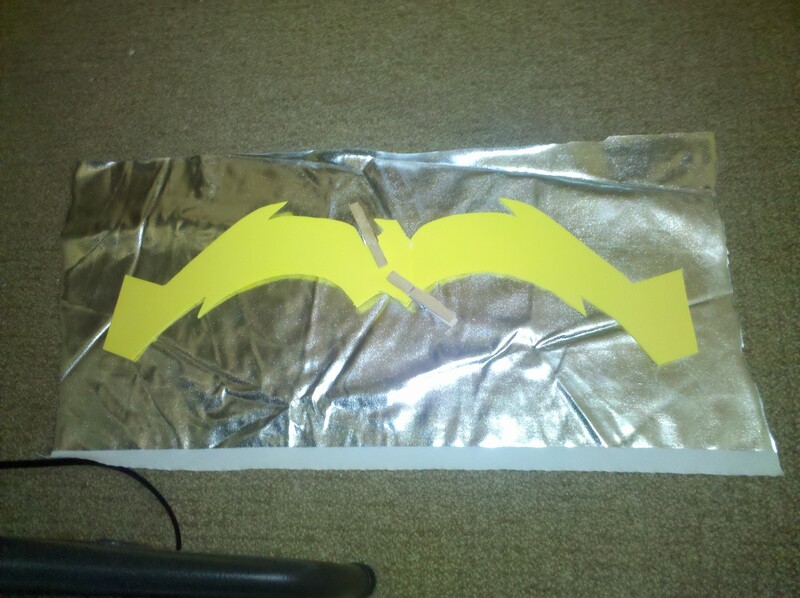 Testing the length of the design so far. 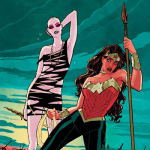 The weird thing is that it looks perfect on the dress form but is too short on me. 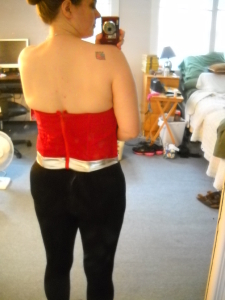 Testing out the armor on the corset. On the dressform, it looks fine but then actually trying to attach it caused problems. Clothes pinning the armor in place shows that there were suddenly going to be issues with buckling. I trimmed the edges of the armor off. They were supposed to wrap around and be secured just under my armpits but it wasn’t working on me the way it worked on the dressform. 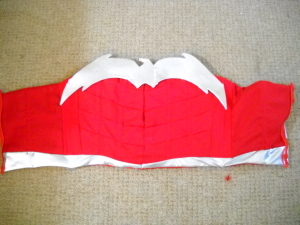 Here’s a shot of the inside lining of crepe. Getting some panels of interfacing in then bias tape for the boning and the boning itself was hell. 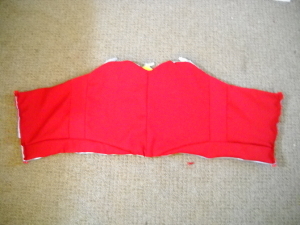 Luckily the lining hides all the messy stuff. I guess I’ll be wearing a bodyshaper under this one. I decided to install a separating zipper. 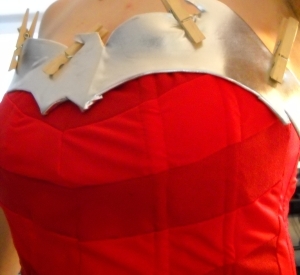 My original costume is sewn together completely and I carefully pull it on over my head. I couldn’t find a red separating zipper in the size I needed (of course) so I cut 2 small pieces of bias tape and stitched them to the top of where I needed the zipper to end. Then I trimmed the excess top of the zipper. It’s still not easy to get into but it feels “safer” than wiggling it over my head and shoulders.